Free Shipping Included! 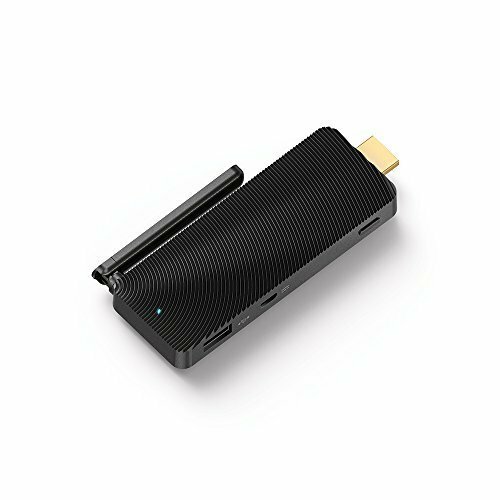 Quantum Access Windows 10 Mini PC Stick, Intel Baytrail-T (Quad-core) Z3735F 1.33GHz, 2GB/32GB by AZULLE at CTOSoft. MPN: QS-1048-QA. Hurry! Limited time offer. Offer valid only while supplies last. This mini PC is perfect for streaming media as it is fueled by a top-of-the-line Intel HD Graphics (Gen 7). With a built in HDMI output, you can simply plug the Quantum Access into any HDMI port and instantly "access" your PC. If you have any questions about this product by AZULLE, contact us by completing and submitting the form below. If you are looking for a specif part number, please include it with your message.